It’s been busy around here. I crammed a lot into the end of October (a little too much I’m over worked and under the weather). On October 21st I participated in an performance event at the Location One Gallery. The evening was curated by my friend David Quinn who asked various people from around town involved in the performing arts to participate in a fundraising event for Location One. I took it as an opportunity to flesh out some ideas that I’d been kicking around in my head. The result was three short solo performances in which I performed, choreographed and designed (costumes and projections.) All of this was only possible because of the amazing people in my life who agreed to work with me on the project – My artist muses/collaborators – Cori Olinghouse, Christopher Williams and Mike Andrews. Composer Derek Piotr built gorgeous soundscapes for each of the three chapters. The fantastic costume and knitting skills of Craig Hunter and Kit Lee helped me realize the looks for the pieces with some rad accessories by Sam McFadden. And generous friends gave of their time to form the video projections – Grant Worth as editor and performers Ananda Keator, Betty Chen, Felipe Vasquez, Kit Lee, Nathan Crislip, Raja Kelly, and Will Penrose. Thank you, Thank you, Thank you. You all amaze me. Unfortunately because I was quite distracted I didn’t arrange to have someone document the performances … I plan to re-stage these pieces for documentation. More on this project soon. In the meantime more info can be read here. Below is an excerpt from the video projection, which acted as my set, that ran during the third sequence – “Raven”. Below are photographs I shot for my friend and collaborator Christopher Williams last week. 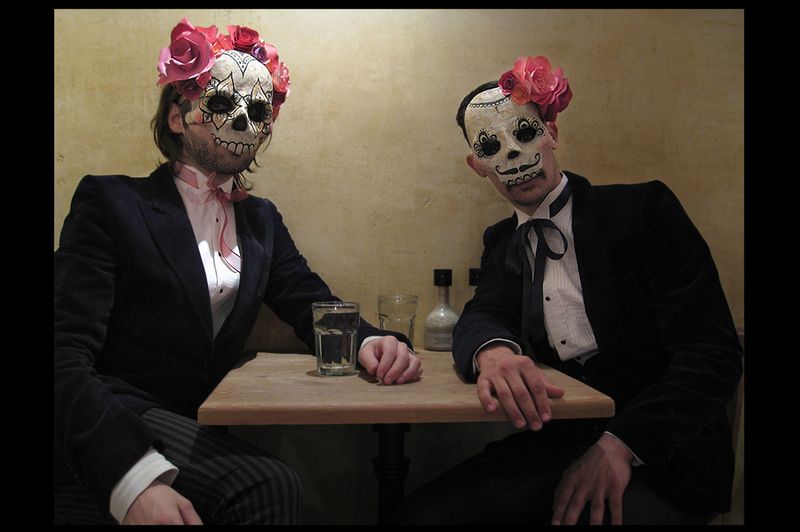 The photographs are for the Wolf-in-Skins opera project that we are working on together. The dancers pictured are Burr Johnson and Kira Blazek . Choreography by Christopher Williams. Then of course it was Halloween, and it’s hard for me to just brush that off. 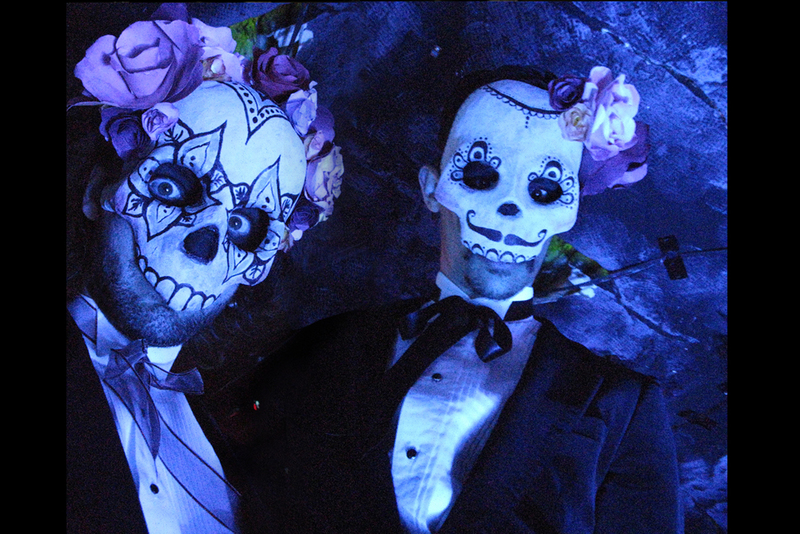 A delightfully successful collaboration with the exquisite Jordan Isadore led to a Dia de los Muertos couple (all paper and and paint). ¡Guapísimo! In the moments between the aforementioned projects I tried to put in as much time as I could at my freelance job at Izquierdo Studio (which is always busy at Halloween). Martin Izquierdo has designed Heidi Klum’s Halloween costume for years and this year was no exception. Actually this year he designed her two! The Skinless Woman and The Missing Link between man and ape.